Personal Injury | The Law Office of Gregory Kuczinski, Esq., P.C. The Law Office of Gregory Kuczinski, Esq., P.C. is an experienced group of personal injury attorneys combining over fifty-seven years of legal experience with over 58 years of law enforcement experience. 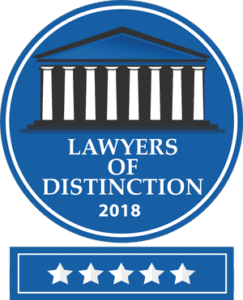 We are a full-service law firm highly rated by Martindale-Hubble and is listed in the Million Dollar Advocates Forum. The Million Dollar Advocates Forum is one of the most prestigious groups of trial lawyers in the United States. Membership is limited to attorneys who have won million and multi-million-dollar verdicts and settlements. Less than 1% of all U.S. lawyers are members of this group. The firm prides itself on its attention to detail which ensures that personal attention is given to each issue in every case. We match attorneys to the needs of the individual clients. In addition to working closely with our clients, we offer a unique approach to legal representation: we avail ourselves to our clients 24 hours a day, 7 days a week. Accessibility and accountability is one hundred percent. We are both responsive and receptive.